Bangkok is an exciting city for all kinds of eateries and culinary institutions, and the town’s food scene only keeps flourishing. Undoubtedly, the city has turned into a true hotspot for food lovers, inviting both newbies and insiders to explore and taste the ever-changing offerings. This perhaps explains why restaurants keep bringing a number of visiting guest chefs and temporary pop-ups to make sure city-dwellers are fuelled joyously with new eats and drinks each month. 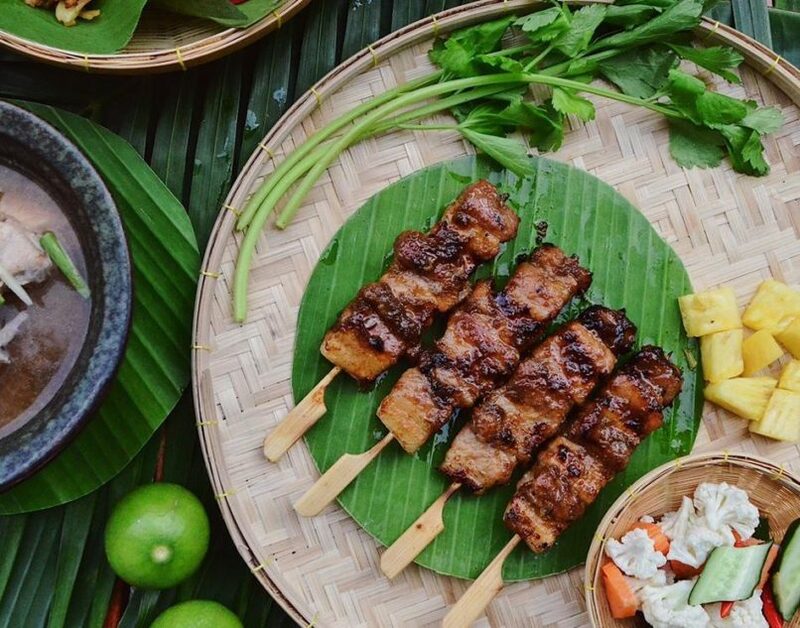 So if you are currently circling around town looking for an exclusive excuse to wine and dine this February, here are five dining pop-ups you should look out for. Price: Lunch set menu is priced at THB 5,500 for food only and an additional THB 2,100 for wine pairing. Dinner set menu is priced at THB 9,850 for food only and an additional THB 2,800 for wine pairing. Have you heard of this three-Michelin-starred restaurant that’s mainly involved in the mushroom business? If not, head over to Prime restaurant within Millennium Hilton Bangkok this month to meet with Chef Jacques Marcon of the far-famed Régis et Jacques Marcon Restaurant in France. 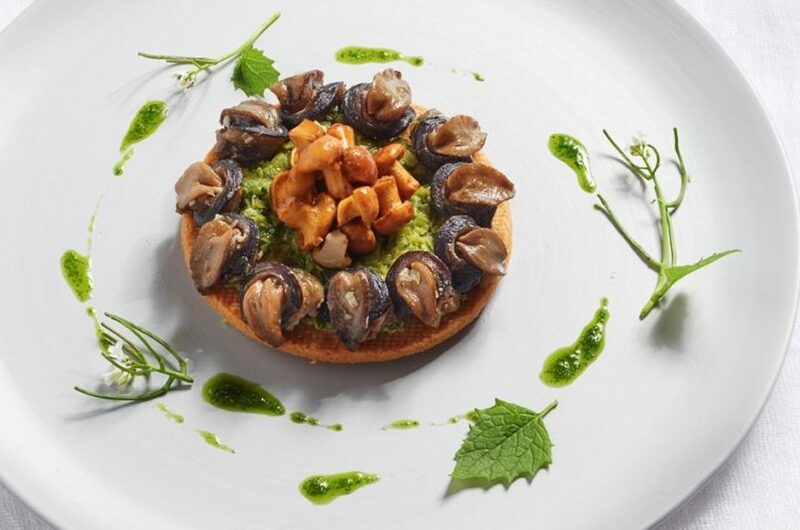 Specialising in cooking with mushrooms, the Michelin-starred chef will showcase the forest-harvested fungis through his mushroom-focused five-course lunch menu and seven-course dinner menu. Those who have always been a fan of the umami-packed veggie, be sure to reserve yourself a seat for this one-of-a-kind dining pop-up. For further information and reservations, please email bkkhi.informations@hilton.com or call +66 2 442 2000. When: 15 February for dinner service only. February 16-19 for both lunch and dinner services. Price: Lunch set menu is priced at THB 2,900++ for food only and THB 3,900++ for wine pairing. Dinner set menu is priced at THB 5,800++ for food only and THB 7,200++ for wine pairing. 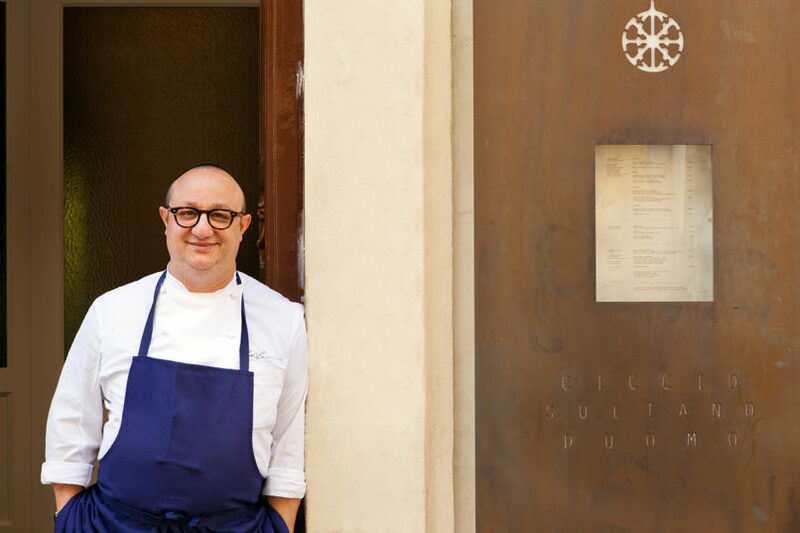 For five nights only, La Scala is welcoming the two-Michelin-starred Chef Ciccio Sultano of Duomo from Sicily to cook alongside its creative-minded Head Chef David Tambutini. The extravagant four-hands dinner will feature a five-course set lunch menu and seven-course dinner menu, showcasing the two chefs’ immaculate signature dishes of the season – think Mediterrenean Turbot and Winter Black Truffle, Ragusano Cheese Gnocci with Cuttleflish Carbonara Lemon and Truffle Ice Cream. Looking to have a perfect Italian night out? This sure is the one for you. Open: Mon-Sun, 12 pm-3 pm and 6:30 pm-11:30 pm. Once a capital city of Thailand before the Siamese revolution in 1932, the now Rattanakosin Kingdom has made a comeback in the form of royal Thai-inspired meals at Smooth Curry, an authentic Thai restaurant within The Athenee Hotel, a Luxury Collection Hotel, Bangkok. With the goal of celebrating Thai dishes eaten throughout the Rattanakosin Era, Head Chef Montri Jiratitkankit will showcase a special menu featuring staple dishes from that time period, such as Moo Tang Sod (THB 250), which is a grilled marinated pork with pickled vegetables; Tom Som Pla Gra Phong (THB 350), seabass in spiced tamarind soup; Gaeng Ga Ree Nua (THB 670), beef in yellow curry with onions and potatoes. Available now until the end of February – a true Thai food geek really shouldn’t miss out on this one. Open Mon-Fri, 11:30 am-2:30 pm; Mon-Sun 6 pm-10:30 pm. Le Méridien Bangkok always makes sure us city dwellers are well fed with good food and hydrated with good drinks. 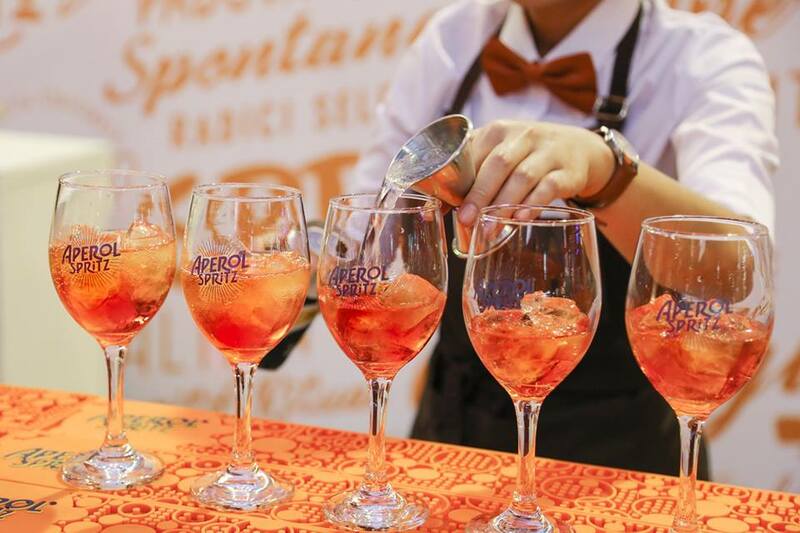 Co-hosted with Aperol Spritz, Orn The Road Burger and Peppina Pizza, Food Trucks x Aperol Spritz Pop Up Bar will be fueling the city with booze and food truck delights starting now until the beginning of March. Booze and burgers? Be there from 5-11:30 pm on 6-9 February and 19-23 February for Orn The Road Burger. If you’re more of a cheesy pie person? Show up at the pop-up bar during 5-11:30 pm on 12-16 February and 26 February – 2 March for the delicious wood-fired Peppina Pizza. Price: THB 120 for a plain bagel; THB 180 for bagel and coffee; THB 250 for bagel and smoothie. 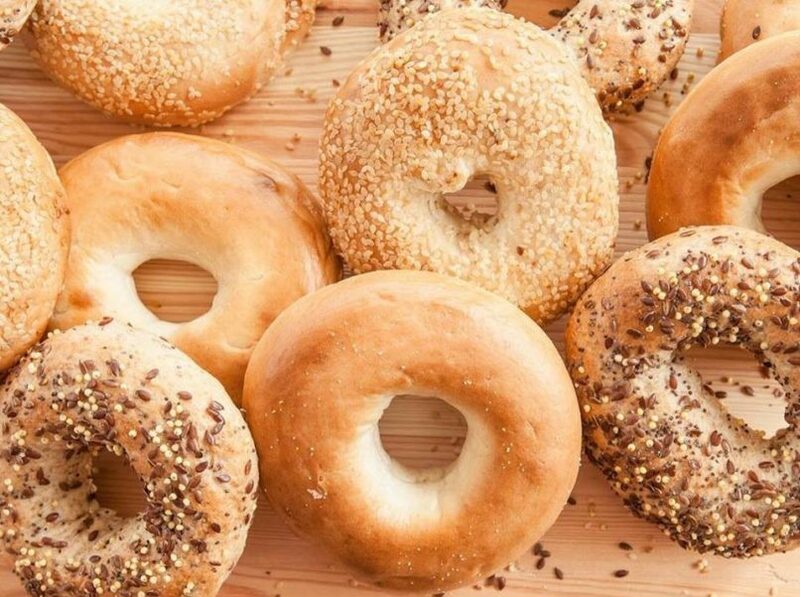 Following the success of their first Big Bagel Brunch, Nourish Café Bangkok, a plant-based restaurant nestled above Fight Lab is flipping their veggie-fuelled kitchen into a temporary bagel-baking station. Diners can enjoy freshly boiled-then-baked bagels with your choice of nutritious toppings like herbed cream cheese topped with sweet pickles, crunchy peanut butter, avocado and sea salt, smokey tofu, lemon and black pepper cream cheese with cucumber ribbons, mushroom and herb pate topped with fried mushrooms and even spiced cashew cream topped with pan fried peaches. The venue offers a bagel set menu that comes altogether with their mean and wholesome drinks. So pair your bagel with coffee or a smoothie, to your heart’s content. Open: Mon-Fri, 10 am- 10 pm; Sat-Sun, 11 am-5 pm.